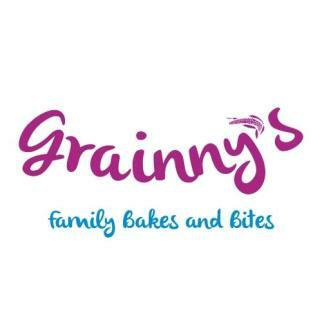 Our journey at Grainny’s started a long before we even thought of setting it up. Once, it was normal to be driven entirely by trends, advertising, and hearsay, for everything we ate. Driven by the desire to make a better career, have a better house and amenities, and, food was only a fuel to keep us going. But it turned out, we were not healthy. One day I got a test done and could not believe that I had High BP at the age of 31. Besides high BP, symptoms of acidity, ulcers, stress and diabetes were also present. The energy levels were inconsistent and mood swings were common, affecting work, life and relationships. Soon I took to cycling to get some workout in life. This did help in setting a better course. With ultra-endurance cycling being my sport, understanding nutrition and absorption became mission critical. Imagine role of nutrition on a 500 km single stage cycling event. I studied every important nutrient and their role in the body. And it did help! But the sources still were off the shelf. This was the same time when Ritu started Upavan, an enterprise dedicated to making life green. This steadily brought us in touch with a very exciting scenario. We met farmers, experts, nutritionists, and traders; understood the nuances of processing, the role of chemicals, pesticides, and preservatives. And before we realised, we were talking food all the time. We were becoming the animal we were intended to be. For all other animals, to eat is one of the primary purposes of life. They know what to eat from what not to. Somewhere we lost this very wisdom, critical for the preservation of the race, giving way to convenience and food trends. A simple yet critical question is ‘Why do we eat?’ You will laugh at this question, but I insist you answer this in words. Did you say – Food provides us nourishment, which is essential for us to lead a healthy long life? Exactly, that is the right answer. But despite knowing the answer, we were not following what we knew. All the food (yes all of it), be it raw, cooked, or packaged, defied the logic. Everything we ate was made with ingredients, treated with chemicals and pesticides, was super-heated, super-cooled; added with colors, preservatives, taste/shape/texture enhancers, fortified with synthesised nutrients, packed in plastics and shipped from across the world. Do we want this? Do you think a sudden surge in lifestyle and chronic diseases, allergies and dependence on medicines has anything to do with the food we eat? Can you write your top 3 reasons? List what you eat generally, and put them in a table of 2 columns. For example - What you get directly by harvesting plants, or after a minimum processing. What comes without any printed expiry date? For example - What comes packaged, does not look like a plant, or has gone through a lot of processing, warehousing/travel. What comes with an expiry date printed. Once you have done this, you are ready to do away with column 2 from your diet. Do it at your pace, but faster you do, better it will be. Also, you will notice that a lot what children eat, falls in the column 2. Is it not strange, that children no longer eat which most of the 30+ adults ate in their childhood? Can you imagine what lies in store for these kids? There are ample stats available to prove the lowering age and higher susceptibility to obesity, diseases and early puberty. And yes the two are largely connected. Whole Grain vs. Polished Grains – The most common grains we know, rice and wheat, are actually seeds. They are a whole package of nourishment to give birth to an entire new plant. These would contain – fat, proteins, Carbohydrates, minerals, fibre, and enzymes. They also have a capability to stay alive for a long time. But the moment we de husk them or grind them, they may get rancid. That leads to processing (filtering, bleaching etc. for wheat) and polishing (boiling, hulling, and milling to make white rice), which removes a lot of good from the grain to leave behind a core, which stores much longer, cooks faster, and taste more refined. So you decide, between whole grains, which are wholesome and Nutritious, and Polished grains, which have a better shelf life and refined taste. If you chose the former, you can transit slowly for the taste buds to adjust with ease. Millets – You know these, don’t you? Bajra, Jwaar, Madua, Proso, Chaulai, Kuttu, have been a part of our diet occasionally. Historically millets were widely grown much before Wheat and Paddy became the industrially popular crops. Looking closer, you will find them to equal and often superior to Wheat and rice on one or more parameters. The discovery was very exciting, because now we had more options and control on the nutrition. It turns out to be a good idea to make millets a major part of our daily grain consumption. Besides the common nutrients, millets are also found to be effective in certain medical conditions, like Sorghum for diabetes, and Ragi for osteoporosis, anxiety and weight loss. In subsequent parts, I will share more on each of these. Here is a general comparison of various millets over the nutrition content. And here is a table of common names in various Hindi Languages. Nuts and Seeds – Nuts and seeds are common to our snacking. Mom would say, 5 Almonds a day would make you smarter. They look the same but botanically they are different. In food terms though, the definition is hazy. Anyways, as I said earlier, seed is a complete package to give birth to a new plant. It contains a dizzying amount of minerals, nutrients, enzymes and information to grow an entire plant out of them. They are live food, and therefore for most benefit, are best eaten raw. Frying, roasting, salting, can take away a lot of essential from the seeds. So, whenever possible consume these raw. Sesame, Flaxseeds, Tukhmaria/Sabza (confused with Chia), groundnuts are some of the names I want to leave you with, if you are only thinking of Cashew, Almonds, and walnuts (undoubtedly awesome, but often over processed). Oils - A lot of cooking oil comes from seeds (and nuts). Mustard, sesame, sunflower, Groundnut, etc… all are seeds. What remains to be seen, is how much processing they go through before reaching our table. Cold pressed and Virgin tags are nice to have next to your oil. Better still, if they are locally produced. You see, low Food Miles has always been my first preference. So how nice the Olive or canola may sound, they always finds sparing use in our kitchen now (once I was a big fan of olive oil, and we were 100% olive oil users). We keep an array of oils now for consumption and often it’s used uncooked. Look out for cold pressed or virgin extracts like, Sesame, Mustard, Coconut, and Groundnut oils for your daily consumption for maximum benefits. Fruits and Vegetable – is the most colourful section of my food story, and is also the most debated I guess. For a large part of my childhood, we were fortunate to get local and seasonal supplies from the nearby fields. Later it turned to big shops, super markets, and big retails. The choice multiplied, and Bhindi (lady finger) and Mangoes became as common in winters as Cauliflower and oranges became common in summer. Along with a yearlong supply of Washington apples, NZ kiwis, and Chinese pears. Imagine all the effort which goes into making it possible, the food miles these fruits incur to our table, the water and electricity used in warehousing, use of the enzyme suppressants, preservatives and hormones to keep these fresh, and chemicals used to control ripening and keeping the pests away. Do you know, with so much use of the chemicals, the insects also don’t venture close to the shiny stuff we see on the shelves today. Best is to educate ourselves on the local and seasonal fruits and vegetables, and avoid all other. It will ensure that you not only will eat healthy, but it sure will be easy on environment and pocket. See one imported (this one is ok) video here for some indicative facts. As I continue to punch, I realise there is so much more to learn and share. It’s the subject which is amazingly engrossing, besides being critical to our health and existence. If there is only one story which I can be in, it will be a story about our food and environment. While concluding this chapter, am already thinking of the next ones. Food applications, recipes, ideologies, nutrition, growing, medicinal properties, etc. are some of the things cropping up in my mind. I would love to hear from you on this Topic. Share your feedback, ask questions, raise doubts and differences, but do start talking about food and write your own story.